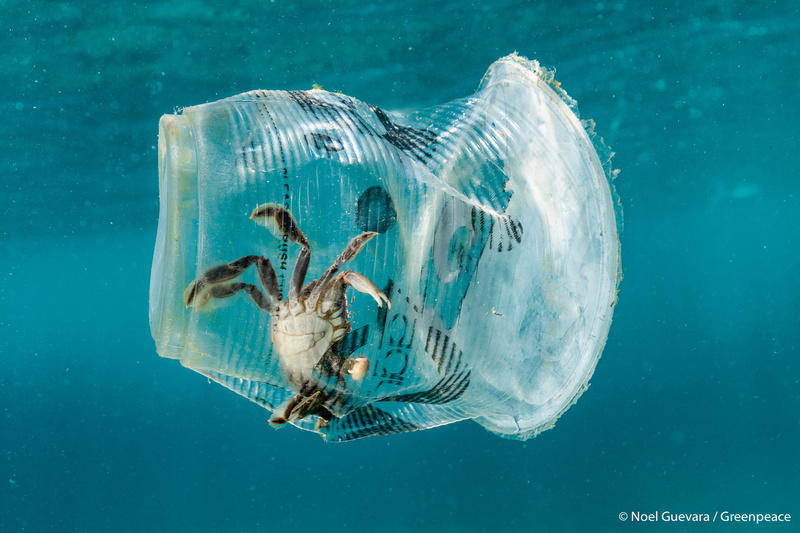 Crab in a plastic cup floating near the surface in Caban Cove, Maricaban Island, Philippines. The subject was not tampered with, posed, or the photo manipulated in post—in fact I only intended to shoot the cup, and was surprised to find a crab inside. It’s as real as it gets and sadly, not out of the ordinary. Photographed while on assignment for Greenpeace. Follow me on Instagram, @noelguevaraphoto.